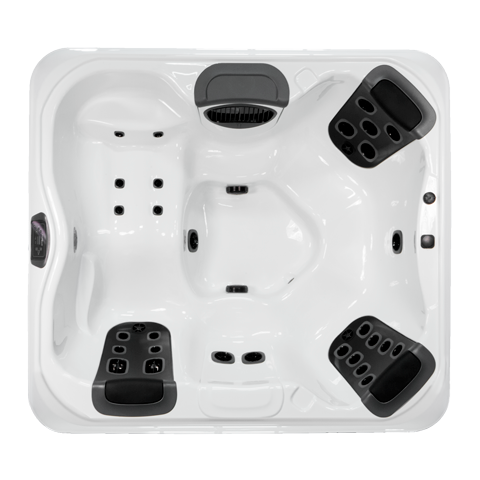 The R6L is a quality 4-person spa for installation on patios, balconies, and in smaller spaces, without sacrificing therapy and comfort. The R6L provides a variety of massages, with 3 JetPaks of your choice and a layout that includes a comfortable bent-knee lounge seat with integrated calf and foot jets. The variety of seating types makes the R6L perfect individuals that enjoy several different massages.